Whether you're an experienced archer or an enthusiastic novice, we've compiled a list of archery ranges in New York City that you are sure to enjoy. If you're looking something fun and different, see our complete list of venues that offer archery in NYC. If you're seeking archery ranges in any of the five boroughs, view our comprehensive guide to NYC archery. Fun and Affordable Archery in NYC! 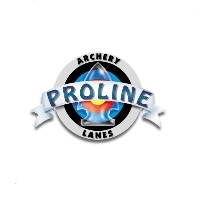 If you're looking for an off-the-beaten-path, but extremely fun way to spend your afternoon, stop by Proline Archery Lanes in Queens. Save money by taking advantage of one Proline's special shooting packages. Step into the pro shop the browse through the most cutting edge archery equipment. The atmosphere is casual and very laid back. The staff is friendly and ultra-patient with beginning archers. They're more than happy to provide you with helpful tips and trick to boost your shooting efficiency. If you're planning to book a lesson, all the instructors are topnotch.